This small town is located at 730m above sea level. 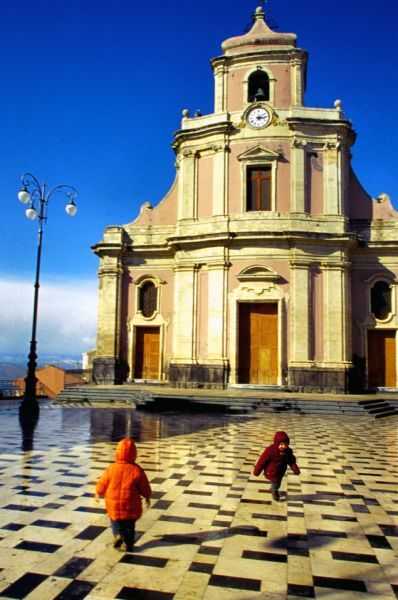 Centuripe is famed for its great terrace-like lofty vantage point on Mount Etna, the reason why it has been given the name “Balcony of Sicily." 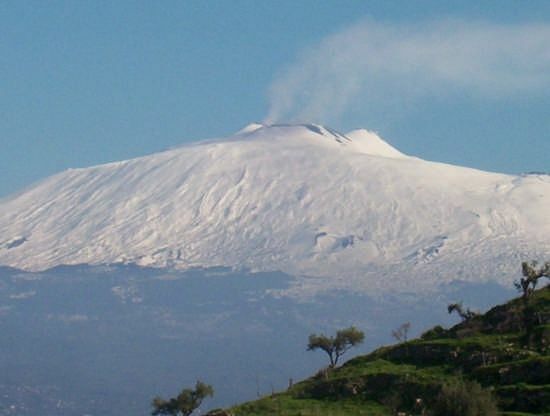 Centuripe is located on the road between Adrano and Mount Etna after passing Regalbuto. As you are nearing Centuripe there is an exquisite stretch of land cultivated with citrus trees. Driving up the hill you arrive at Centuripe. Many battles have been fought around the area because of the town´s perfectly sheltered position. When the last battle between the Allies and the Germans took place in Centuripe the town was damaged, the reason why so much modern construction can be seen today. Fortunately its cathedral, with its fabulous pink and white façade, constructed in the 1600s survived the bombings and is still here to be admired.